Joseph Rauh and Pres. Lyndon Baines Johnson. Oval Office, 3/18/1966. Photo # a2134-9a by Yoichi Okamoto. 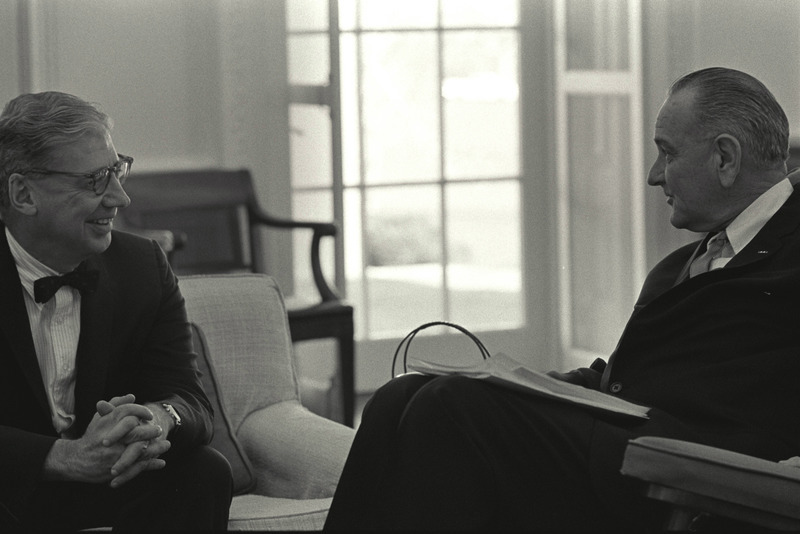 White House Photo Office collection, LBJ Presidential Library. Public domain.